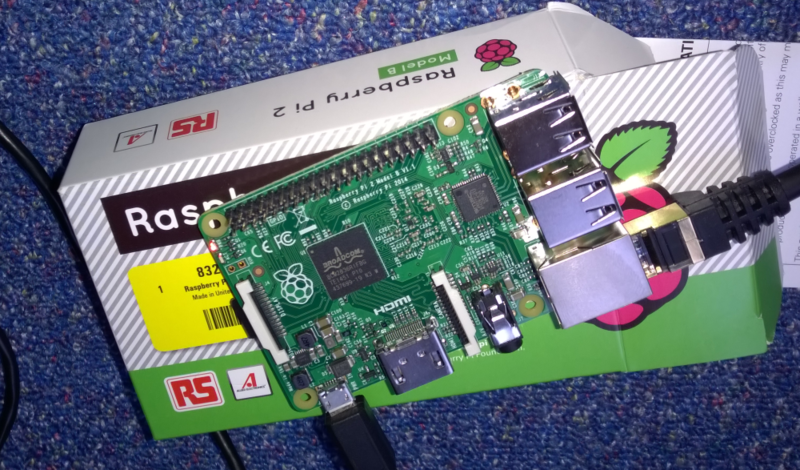 As regular readers of my blog might have seen, I got myself a Raspberri PI 2 and a Sunfounders sensor kit, and was happily dabbling a little with it. 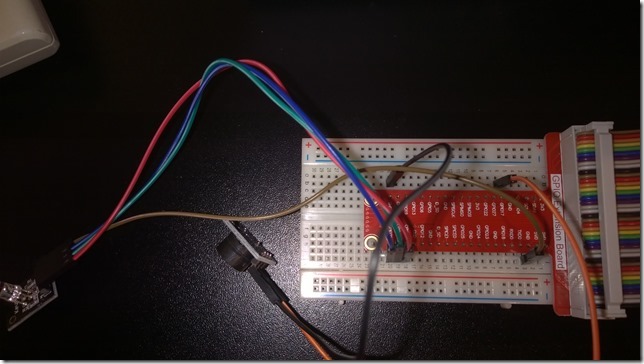 And then suddenly, out of the blue, Microsoft dropped a development kit for the Microsoft Band – and Gerard Verbrugge (Microsoft DX Netherlands) challenged me to make something with it. So I thought to combine a number of gadgets: my Microsoft Band, my Windows Phone and the Raspberry PI plus some of the stuff from the sensor kit. Don’t give up reading if you don’t have a Band – that part can be simulated and the technique to control hardware peripherals from a WebAPI endpoint is useful on it’s own. an endless running task making the LED blink in the right color and cadence, again using Daniel Riches’ wrapper around Gordon Henderson’s wiringPI C library. Once again, with some adaptions. 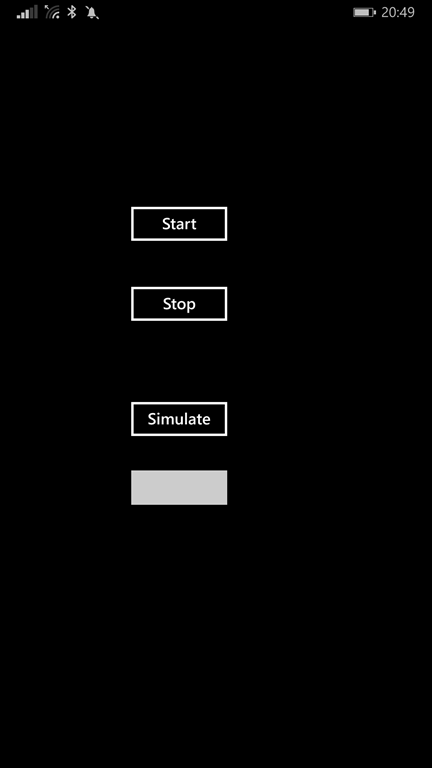 A Windows Phone 8.1 application listening to the paired Microsoft Band’s heartrRate sensor’s events, and posting those to the RaspBerry PI2’s OWIN server upon receiving those. The WiringPi project – the wrapper around the C library that I used before. Rather primitive, indeed. But I want the class that I post as JSON and deserialize from JSON to be shared over client and server, and I don't like magic strings (especially not repeated magic strings) so I tend to gather those in settings classes. 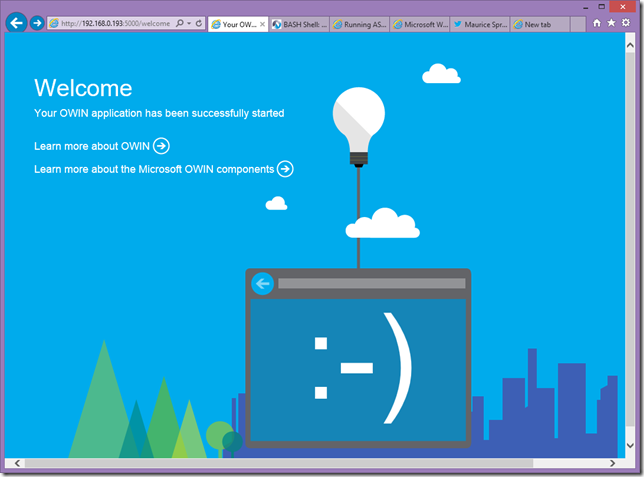 OWIN is a self hosted web server inside a console app – more or less Microsoft’s answer to nodejs and the like. 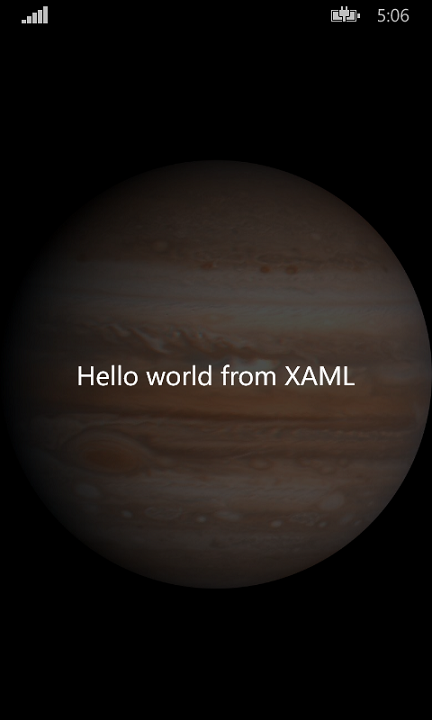 It’s pretty simple to get started: make a console app, then add the Microsoft.AspNet.WebApi.OwinSelfHost nuget package and that brings everything you need – it’s even simpler than I described in this post. Oh, and add a reference to the PCL while you are at it. A “Blinker” class that hosts a thread that does the actual blinking. So now I have an explicitly defined route “api/singleblink” where I can post a Pulse object containing a heart rate to, as well as a simple “api/helloworld” method whose URL I can enter in a browser to see if the WebAPI is up and running at all. In the “PostBlink” method our Blinker’s HeartRate property is updated. And we come to the heart of the matter – pun intended – as far as the server is concerned. What is important to understand is that the Microsoft Band does not post an update per heartbeat. It posts at a quite regular interval what your current heartbeat is. So in order to let the LED blink at the rate of a heartbeat, we actually have to calculate how often the LED needs to flash. As a matter of fact – the LED does not show your actual heartbeat. It just blinks at the same rate. More or less. I am using a different API than before, for this one is – amongst other reasons reasons - a lot simpler to use and does not hinge on C threading. With a caveat I will come to a little later. Important to see is that’s a singleton – there’s only a private constructor and a static method GetBlinker() to create it. Normally you would not get away with this in a web environment, but as OWIN is not hosted in IIS, we actually can use statics here. Scalable? No. But who cares on a mini device like this. Usable? Yes! The ShowHeartRateBlinking actually is an endless loop, that runs while no cancellation is given (or until the OWIN server is simply killed). If the last update was less than 5 seconds ago, it will blink the LED and give a sound pulse, wait for 60000ms divided by the beats per minute – and goes into the next blink. If it does not get updates after 5 seconds, it goes into a 10-seconds polling mode. The HeartRate property is set by the BlinkController when new data from the Band is posted to the OWIN server’s endpoint, and it’s setter also keeps track of the last update time. The DoBlink method actually does the blinking and the activating of the buzzer (at pin 0). The GetPin method, by means of extra fun, determines what color the LED will flash based upon the posted heart rate: blue for below 80, green for below 130, and red for 130 and up. 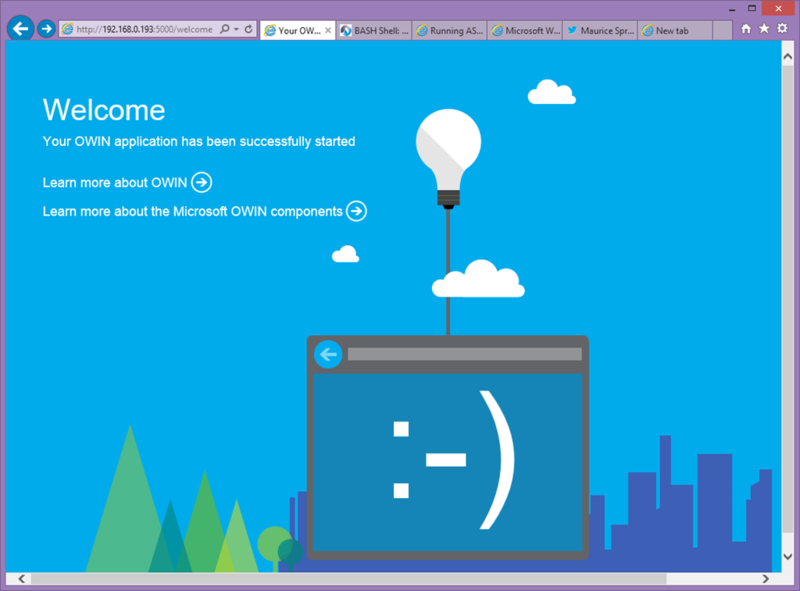 In the demo solution there is actually a test project with a test method that posts a single update to the OWIN server. That should at least get you a “Got updated” line on the screen when you run the server. 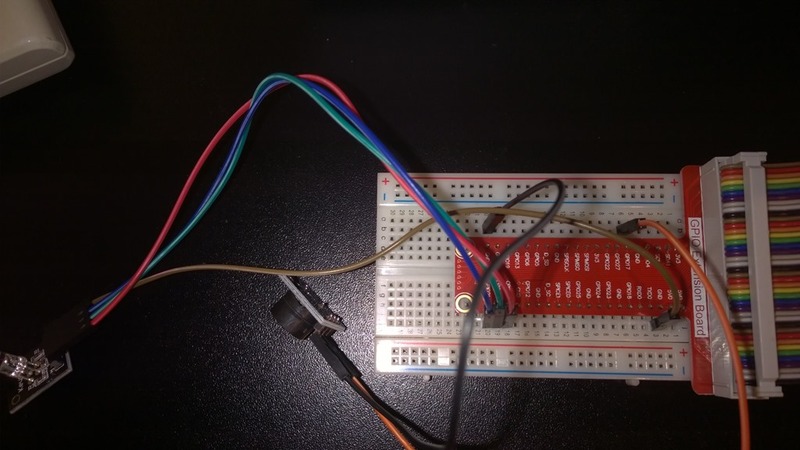 If you run the method multiple times, the LED should start to blink at 75bmp and the buzzer gives a ticking sound. If you compile the OWIN server now, and copy the .EXE and all DLLs in the bin/debug directory to your Raspberry PI2, you should now be able to run the server (sudo mono WebBlinker.exe – since settings.BaseListenerUrl is set to “http://*:5001/” it listens to port 5001 on all hostnames assigned to your Raspberry PI, and this means you have to start the webserver as root). It should print “Server still alive…” every 60 seconds on the command line, as well as any heart beat postings coming by. This is not exactly rocket science, and it’s mostly 1:1 nicked from the heart rate sensor sample in the Windows Phone Band SDK samples anyway. If there’s a heart rate event coming in, a new Pulse object is created and posted to the Raspberry PI2’s OWIN Web API endpoint and the LED starts blinking in the right rate. 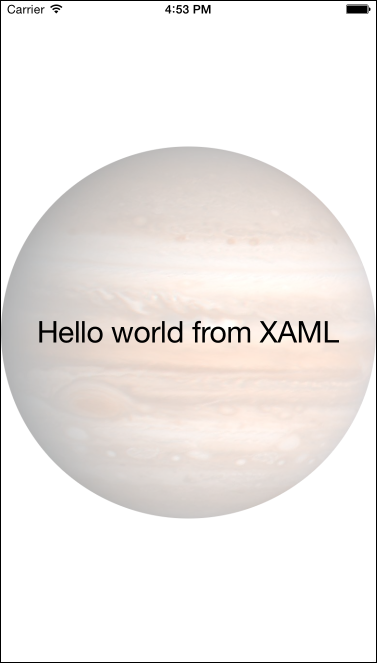 With a little imagination, out-of-the-box thinking and of course some kick *ss hardware and awesome SDKs it’s not that hard these days to let three devices dance together and make a single system – all C#, mostly Microsoft technology and mostly standard knowledge. The hardest part is now writing the C# code that runs on Mono, as it’s impossible to debug a running instance from Visual Studio. 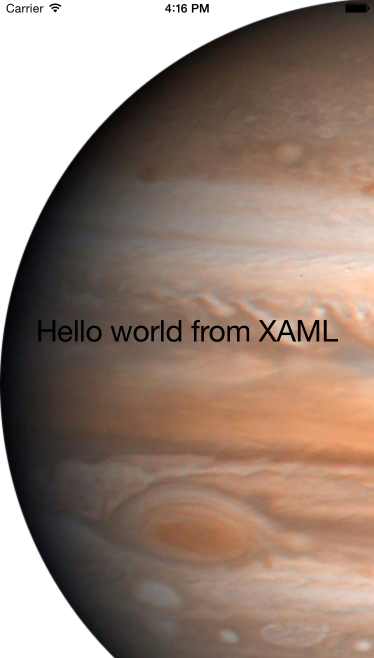 We are so spoiled by Visual Studio and the awesome tools it offers, it’s sometimes very hard to have to do without. Let’s hope Windows 10 for devices makes life as good for device developers as for all other Windows Platform developers. For those who missed the link in between – a complete solution can be downloaded here. 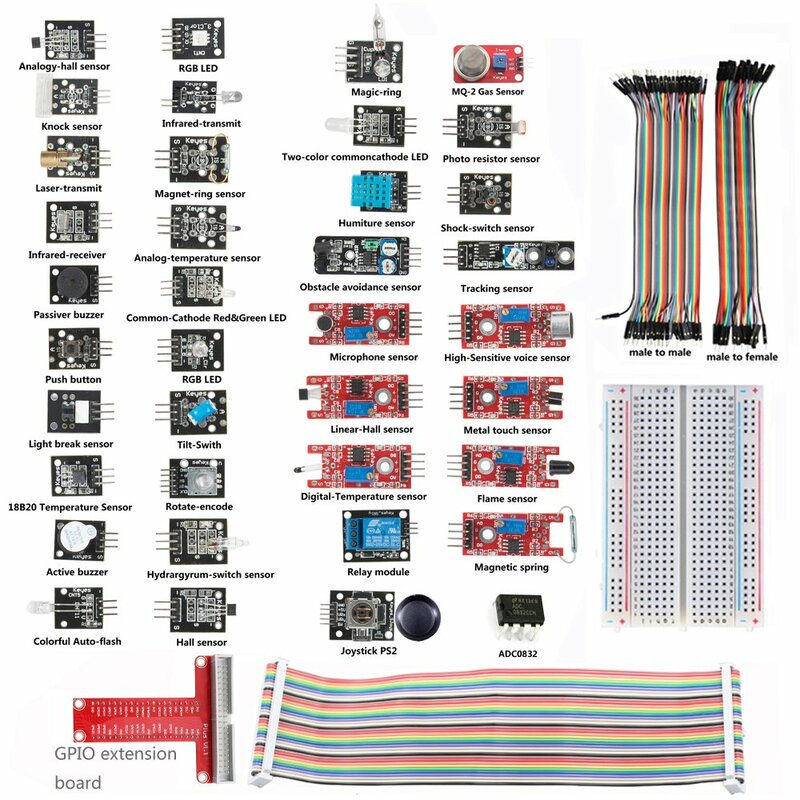 My fellow MVP Peter Nowak from Germany pointed me to this awesome kit on Amazon.de that has this vast array of sensors in it. 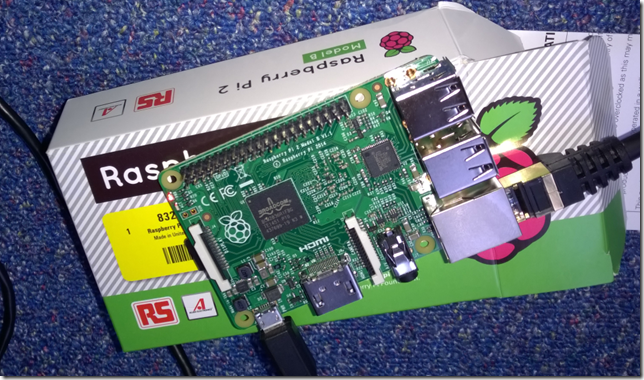 It comes with 37 sensors and peripherals that can be controlled with a Raspberry PI2. It’s originally made for the PI B+, but as this is pin compatible with the PI 2 this works fine. It comes with a mini CD with sample code, but unfortunately this is all C - you need to compile it using GCC. Not having programmed in C since the late 90’s, it’s not code I feel very comfortable messing around with. On the other hand, I am also to impatient to let this gather dust until Windows 10 for devices becomes available. Now the code samples in C that go with this kit all use a library called wiringPI, that is created by one Gordon Henderson. I basically used this library as a foundation for getting the stuff to work with C#. You first have to install the library. Gordon has a simple step-by-step manual on how to go about on this. Simply open a console, go to the directory where you want to download the library’s sources to, and follow his instructions.”Installing” in Linux apparently means installing git, clone the repository, and start a build file that apparently compiles the whole shebang and puts it ‘somewhere’. The net result is that you can compile the sample C programs that comes with the kit using Gordon’s library to control the sensors. 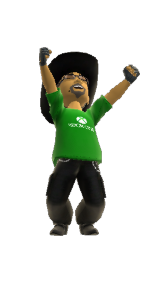 Then there is this guy, Daniel Riches, who has created a simple wrapper library for C#. 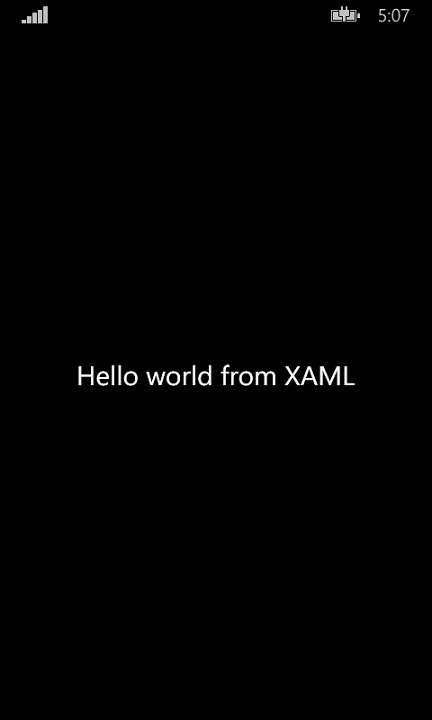 How this works is mind-bogglingly simple – he simple uses DllImport to wrap calls to the C library and making those accessible to C#. I haven’t seen this technique used in anger since 1999, in a Visual Basic 6 project. But apparently this still works – and what’s more important – it apparently works under Mono too, even if the imported code does not come from a DLL at all, but a ‘so’ file. And apparently you can then just delete the folder where you have downloaded wiringPi’s sources in. The library is installed and can be used. As you see, this is all pretty ugly – everything is public static, it follows the layout of the original code very closely and is in its current for totally not object oriented. But whatever, it’s still early days and it’s a temporary measure until Windows 10 pops up anyway. What this does is make a few C routines accessible to C# – for instance, the C routine “softPwmWrite”, that puts a value on a GPIO pin, becomes available al SoftPwm.Write. I will not even begin with pretending that I actually fully understand what I am doing – and I even understand less of the why - but you first have to call the Init.WiringPiSetup method – that was already wrapped by Daniel – and then you need to call ‘Create’ on the three pins - only then you can actual set value to the pins using SoftPwm.Write. I wrapped the calls to that in SetLedColor that accepts red, green and blue values (apparenly 0-255), which is in turn wrapped in a routine that writes progress info and waits a little before progressing. And at the end, you will need to call Stop on all three pins to make the LED go off again, or else it will happily stay on. Net effect: if you connect LED Pin R to GPIO17, Pin G to 18, Pin B to 27 and the ground pin to on of the GND, the led will flash trough a whole range of colors. Windows 10 for devices is not yet out for release, so here I was, being a bit impatient to apply my .NET skills, looking at a device that, at the time of this writing, only can be powered by Linux. I have extensive UNIX experience, but after the GIS world largely moved to Windows NT in 1997(!) my command line skills had gotten a little rusty. Fortunately, there are this great tutorial by this awesome Belgian guy named Jan Tielens, who describes setting up the device for .NET developers and running an ASP.NET OWIN server on it. The only thing I could not get to work, is to get the darn OWIN server to start at boot time. I found out, eventually. 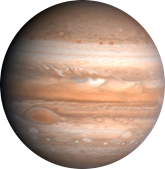 The problem did not so much in the configuration, as well in the default OWIN stand alone server code. Now Linux fans all over the world will probably ridicule me for this total lack of understanding of their system, let alone at how I arrived at the solution, but what the heck. Only a few learn without falling on their face first. It turns out, my friends, that what works when you start it as a user, apparently does not work when you run it it the background. Apparently, although the Console.ReadLine should stop it – it doesn’t do that. The only thing I had to change was the .NET code. And verily, verily, now every two seconds my file “log.txt” got a new line and I actually could access the web site running on my PI. I assume I am a very big dumbass for not understanding this and my logging method is very primitive, but I could not find a decent resource telling me why I was stupid and how to solve this, so I thought I’d share this with you. AS Jan in his original article shares most of the code I forego my trademark sample solution this time, as I expect my readers at least to be capable to delete two lines of code and replace them by four. Final thought: if you deploy this, you might want to delete the logging redirects (as you won’t like having a very big file on you desktop just saying “Waiting…” umpteen times), and you might want to set the Thread.Sleep to a higher value so save (a minute bit of) CPU cycles. So I copy Jupiter.png three times in all folders (yeah I know, there are smarter ways to do that, that’s not the point here) add BackgroundImage=’'Jupiter.png” to the ContentPage tag and… the result, as we can see on the to the right, is not quite what we hoped for. 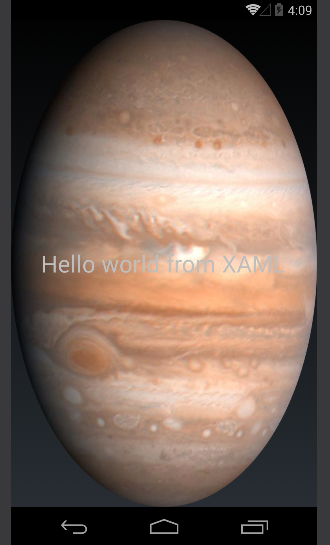 On Android, Jupiter is looking like a giant Easter egg. 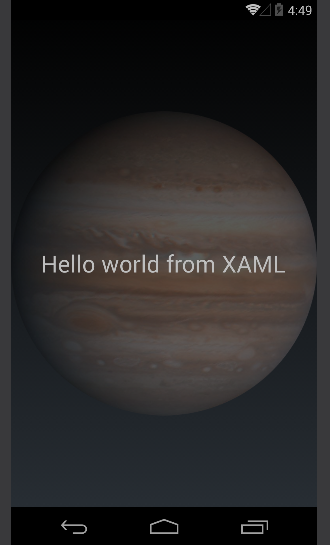 Windows Phone gives the same display. On the Cupertino side, we get a different but equally undesirable effect.